Sancocho is a traditional soup (often considered a stew) in several Spanish and Latin American cuisines. Variations represent popular national dishes in the Canary Islands of Spain, Ecuador, Colombia, Panama, Argentina, Venezuela, Dominican Republic and Puerto Rico. 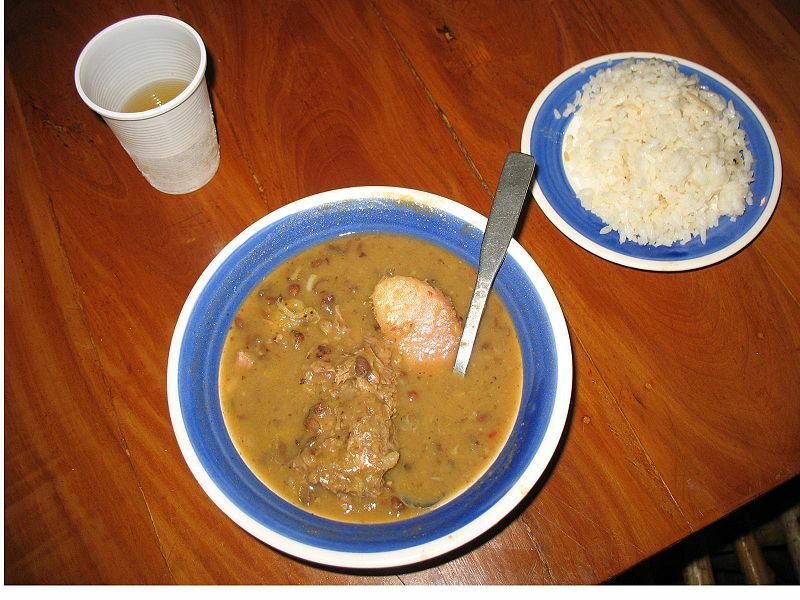 Left: Colombian sancocho de guandú con carne salá. It usually consists of large pieces of meat and vegetables served in a broth. Sancocho is considered a national dish of Colombia. It is made with almost any kind of meat, along with large pieces of plantain, potato, yucca and/or other vegetables depending on the region.